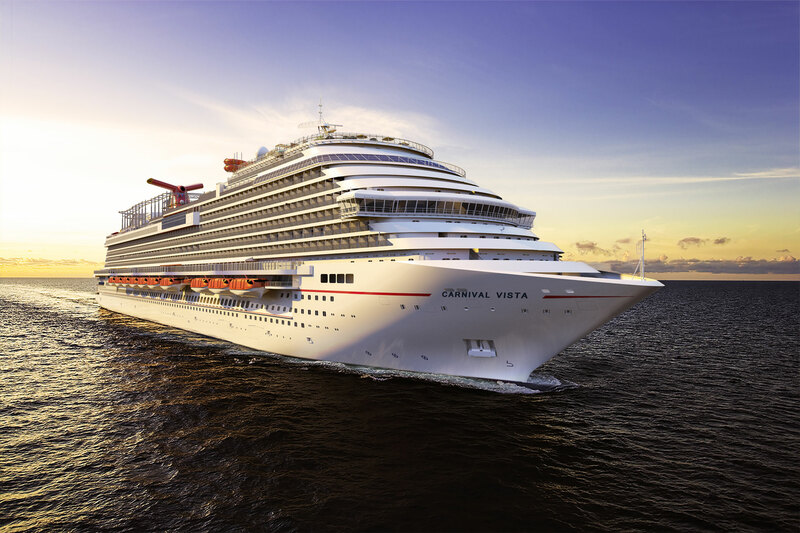 Piraeus will be the homeport for Carnival Cruise Lines‘ largest ship to date, the 133,500-ton Carnival Vista, when it launches its Mediterranean cruises in Spring 2016, according to an announcement by the Piraeus Port Authority. Carnival Vista we will come every week and stay for at least two days at the port with around 4,000 tourists. The service will begin in 2016. 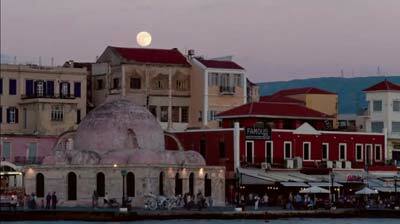 For at least two days will stay in Piraeus the cruise ship Carnival Vista of American cruise company Carnival Cruise, as the largest Greek port was chosen as «home port» for 2016. As announced by the Port Authority of Piraeus, this ship has a capacity of 4,000 passengers and 1,500 crew members and routes will begin in 2016. “Piraeus Port Authority participated in Miami Seatrade, the biggest annual cruise event in the world, along with EOT and continued involvement and intervention in the Cruise Conference. On behalf of PPA participates General Director and Honorary President of Medcruise Mr. Stavros Hatzakos and Cruise Director Mr. Theodore Tsitouras, who met with all the major companies in the world who plan new ship arrivals in Piraeus. Carnival Cruise Lines had withdrawn its ships from the Mediterranean in 2014, but the rise of tourism in the region led to the restoration of some services. 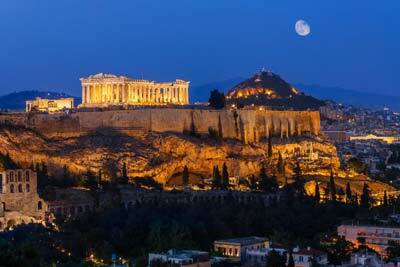 The company has also announced that 2016 will integrate the new program and two Greek ports, Heraklion and Corfu. 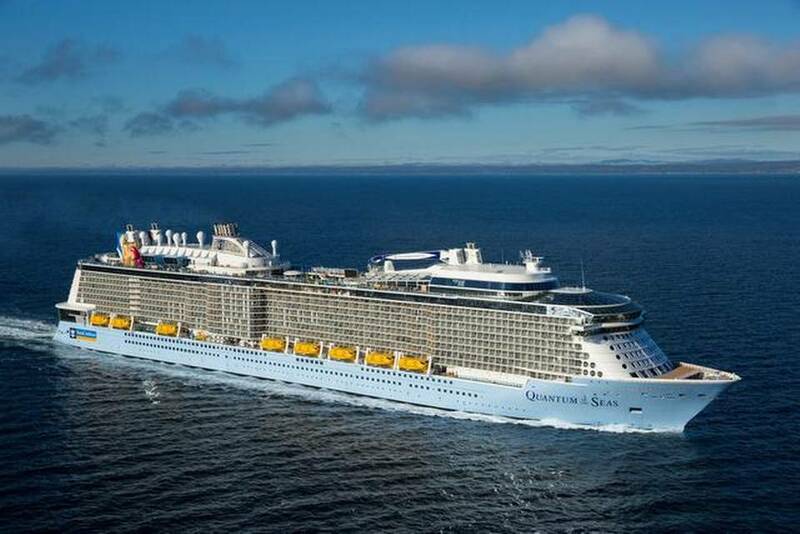 It has also been announced that on May 18, the largest cruise ship in the Mediterranean and third in the world will dock at the port of Piraeus: the 168.666-ton Quantum of the Seas of Royal Caribbean, which can carry 4,906 passengers and 1,500 crew members. Could you please tell me what gate at the Port Piraeus does the Carnival Vista departs from. 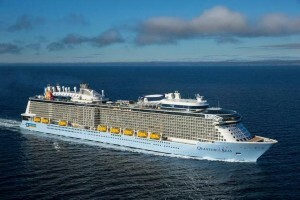 As I will be cruising on the ship. 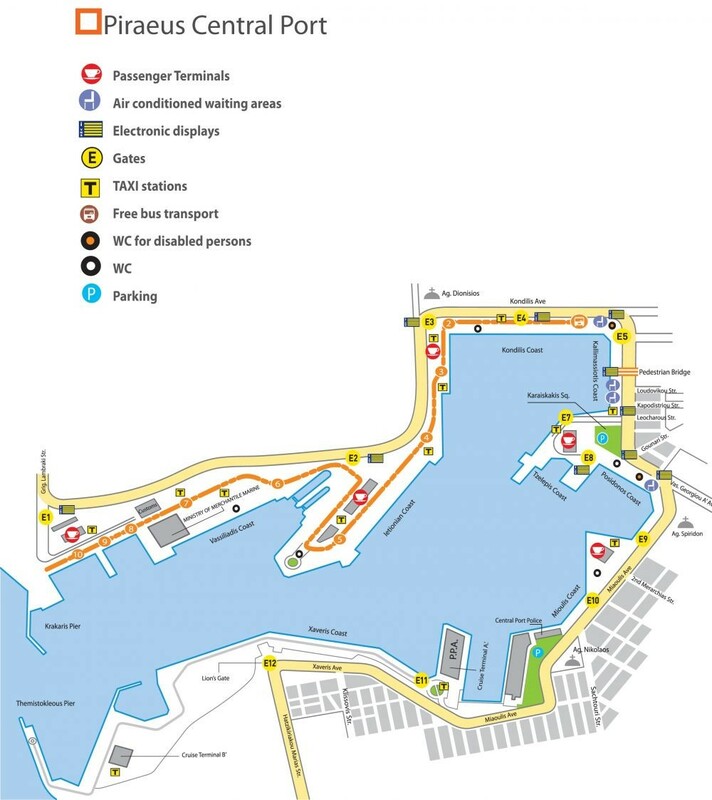 Wayne the terminals for cruise ships are Terminal A and Terminal B. the berths are located on the southern quays. Between Xaveris and Mioulis docks, at the harbor’s middle is located cruise terminal Miaoulis (A). It can be reached by gate E11 or E12.